Though a great update, anyone with an original Chromecast has little need to upgrade. Chromecast Audio is a wonderful idea that requires specific use cases. But at $35, new users still have one of the easiest ways of making their televisions (or speakers) smarter. Along with the new flagship Nexus smartphones, the Nexus 6P and the Nexus 5X, Google also unveiled an updated version of the Chromecast HDMI dongle, boasting a new look, multiple color options, and of course, faster hardware and enhancements on the software side of things. That wasn’t the only media streaming device Google launched either, with the company also taking the wraps off Chromecast Audio, which lets you make use of almost any set of speakers out there to cover your audio needs. 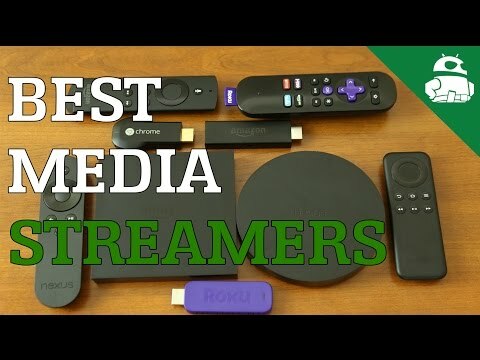 Do these new media products remain as compelling an option as the original Chromecast was? We find out, in this Chromecast 2015 and Chromecast Audio review! 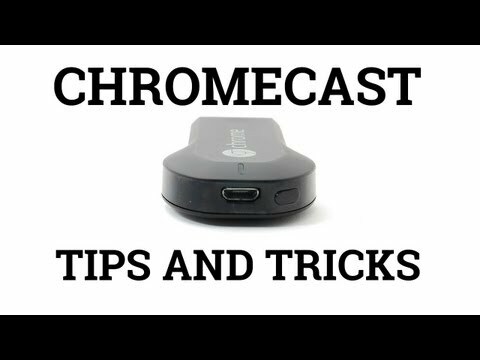 Like the original Chromecast, the latest edition can also directly be plugged into your television or other display via the HDMI port, and requires only a quick initial setup before you are good to go. The Chromecast 2015 does look very different when compared to its predecessor, and at first, there were some concerns with regards to space, but those are all gone now thanks to the revamped design. Although it may look a bit odd when compared to its predecessor, the new Chromecast does wonders for saving space behind the television. The new design now keeps the dongle away from any walls that could be right behind your TV, which the original Chromecast might have otherwise pressed up against. Additionally, if you have multiple cords plugged into the back of your TV and happen to be short on space, the new Chromecast was designed to fix this problem. The dongle portion of the Chromecast is pretty slim, so if things are at all cluttered, you’ll still be able to plug in your Chromecast without a hitch. If you’re not short on space, though, the new Chromecast is also magnetic, so you can attach it to itself to stop if from dangling. Chromecast Audio essentially features the same concept behind the Chromecast, but is an audio-only device. This is the kind of device that you can plug into almost any set of speakers that are lying around, which can then be used as a full-fledged audio streaming service, giving new purpose to any old, regular speakers that you may have. As mentioned, the Chromecast Audio has the same puck design as the Chromecast 2015, and doesn’t have anything sticking out of it, because the cable that you use for audio, can be adapted to other formats. What is included is a regular 3.5 mm audio cable, and of course, it has to be externally powered as well, via a wall plug, or any device with an USB port, like a laptop. Setting up the Chromecast 2015 and Chromecast Audio requires only one thing, an Android or iOS smartphone. You will have to install the Chromecast application, which has also received its own update that introduces an updated design, and quite a few new features. Not only does this app serve as an aggregation system for all of the different applications that are compatible for use with the Chromecast, but it also comes with a robust recommendation feature, pointing you towards any content that you may be interested in. There is a little bit more to it as well, with you now having the ability to change the backdrop on the Chromecast this time around, with options that only include pictures that you could get from websites like 500px, but also compatibility with Google Newsstand, to allow for a ticker across the screen to keep you up to date with the latest headlines from around the world. The background image feature is a very pleasant addition, and if you are someone who has their television on all the time, it makes for a nice look when you aren’t using the TV with the Chromecast. There have been improvements on the performance side of things as well, which is expected, given the updated internals that the Chromecast 2015 packs under the hood. Mainly, the wireless signal has been updated from the 2.4 GHz variety to 5 GHz, which does happen to be a little more opened up, and should make things faster when it comes to buffering the content that you are streaming. In our testing, it does seem to do the trick, but while at the presentation during the launch event, it was mentioned that the content would be pre-loaded in the background as you are selecting it, allowing for almost instantaneous streaming, it’s not really something that we have observed. When testing performance with HBO Now, as far as the original Chromecast was concerned, you’d notice that it had to try buffering again multiple times, and the content tended to get a little bit fuzzy when going to lower resolutions, to keep up with the speed. With the new Chromecast 2015 however, there have been absolutely no issues with HBO Now, with regards to speed or clarity. It is true that 1080p is the upper limit as far as streaming resolution is concerned, but that isn’t much of a big deal, with the majority of televisions other there are still not of the 2K variety at the moment. Moving on to Chromecast Audio, it is a device that is a little bit more specialized in its usage, and may be something that will not pique the interest of every user. If there was something similar that you were on the lookout for, Chromecast Audio may just be the perfect device for you. If you do have a set of speakers at your disposal that aren’t being used all that much, this audio-centric media streamer is what will help make these speakers viable once again. Chromecast Audio allows you to have a singular source for streaming music which won’t get interrupted by all of things that your phone would do on the side. You could still do things on your actual device, while the music is playing on the speaker that Chromecast Audio is connected to. The streaming capabilities with the Chromecast Audio also happen to be pretty instantaneous, especially if you are using a music streaming service. If it was only when playing podcasts, when using something like Pocket Casts, that there was some buffering involved, especially if your starting point was later in the podcast. When using something like Bluetooth speakers, any notifications you receive will interrupt the audio that you are streaming through the speaker, but that is no longer a concern with Chromecast Audio. Audio quality from this device is otherwise standard, possibly a little bit above average. Considering the fact that you will be paying $35 for an audio peripheral device, you can’t really expect it to provide the same quality that a high-quality DAC will provide. It is however, a great option for anyone that has a good set of speakers, and needs them to be as smart as our televisions are, with Chromecast. 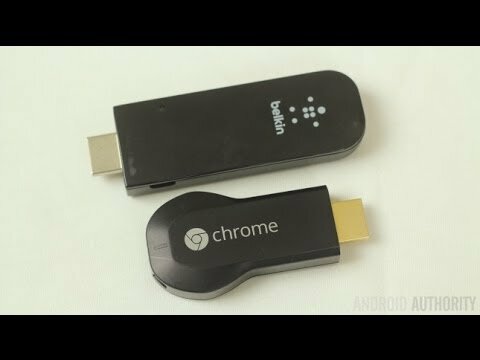 Probably the best part about the Chromecast 2015 is that it supports both Android and iOS, which means that most smartphone owners will be able to use it, and with an Android device, you can stream the entire screen to your television. If you don’t have either for any reason, you still have the ability to stream content from your computer using the Google Chrome browser, from which you can stream media from not only all of the different streaming services, but also just a Chrome tab, or even the whole desktop. As far as gaming is concerned, the library is still quite bare, but we still look forward to seeing how this second screen experience on Chromecast might be able to benefit the daily user. So there you have it for this closer look at the Chromecast 2015 and Chromecast Audio! 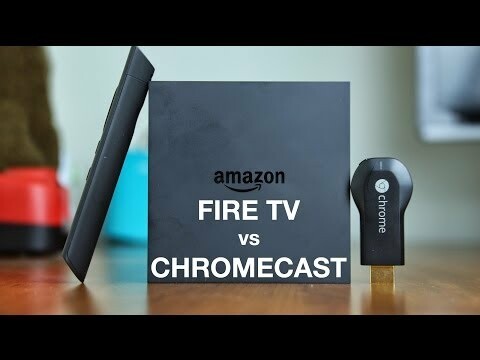 When compared to the other peripherals out there like Roku TV, Amazon Fire TV, and more, the Chromecast remains one of the cheapest devices available for this kind of content streaming, priced at just $35. Another big plus is the fact that it is pretty easy to use, needing minimal setup, and requiring you to just hit a button in the corner of the application to get going.